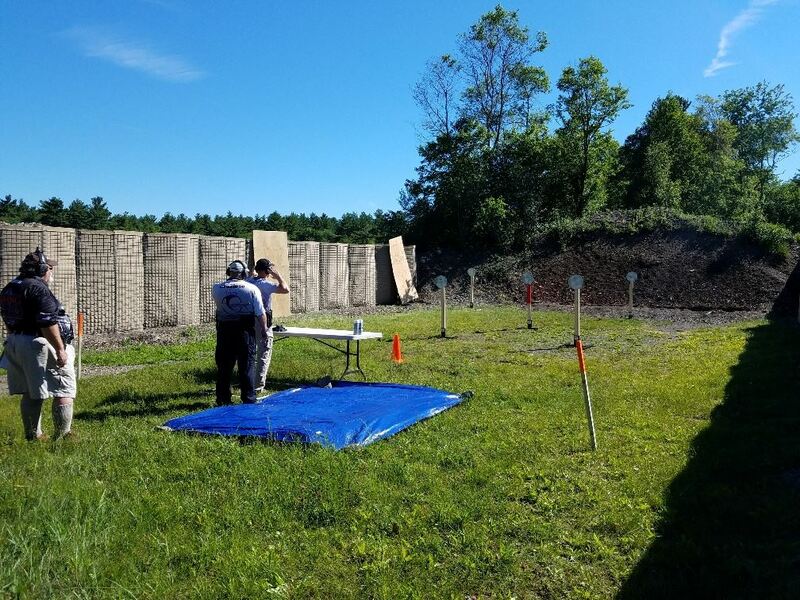 Steel Challenge allows a competitor to have a great time shooting handguns at various stages of Steel Targets against Time and misses. You do not need to be an expert to shoot this event. It is an event that will get better each time that you participate in it. Each Stage is setup to maximize the opportunities to challenge you and your handgun skills. Contact the Steel Challenge Chairman here. Steel Challenge is run under the USPSA rules and governance. You do not need to be a member of USPSA. If you decide to join this allows your scores and classifications to be ranked at a National Level or competition. Steel Challenge rules can be found here. Every competitor is encouraged to be come familiar with the rules. Especially if the sport is new to you. Frequently asked questions info can be found here on the Steel Challenge website. Classification information can be found here. 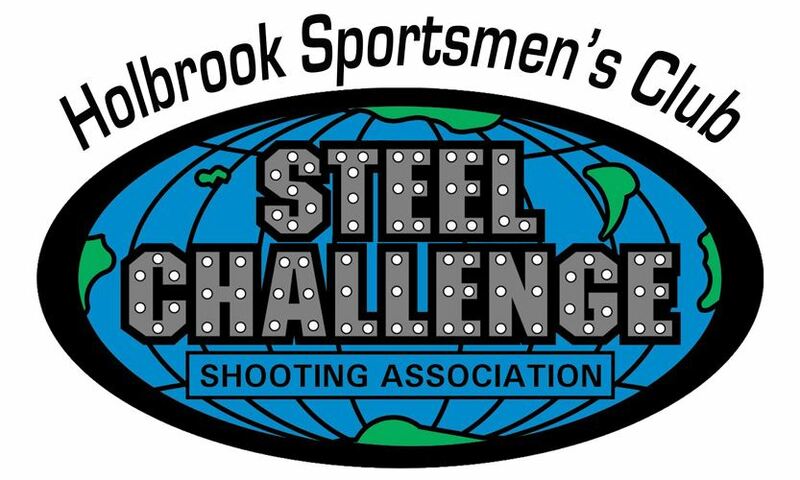 You do not need to be Classified to shoot Steel Challenge at Holbrook Sportsmen's Club. Understanding how the program works will allow you to see how you compare to Nationally ranked competitors. Steel Challenge is run at HSC using 5 stages. Each Stage will be shot 5 times by each competitor. Each Competitor will be assigned to a squad that will stay together for the whole match till all 5 stages have been shot five times. The Range Safety Officer and Assistant RO will travel with each squad to each stage. Steel Challenge is conducted from a COLD RANGE. At all times all firearms must remain unloaded until the time the competitor is told to load and make ready. Handguns can be in approved holster( strong side, on hip ) all rim fire pistols or long guns must have chamber flag, and be bagged at all times until on the firing line and instructed to "make ready"
Stage design information can be found here. Course of fire is that each stage will be shot 5 times. 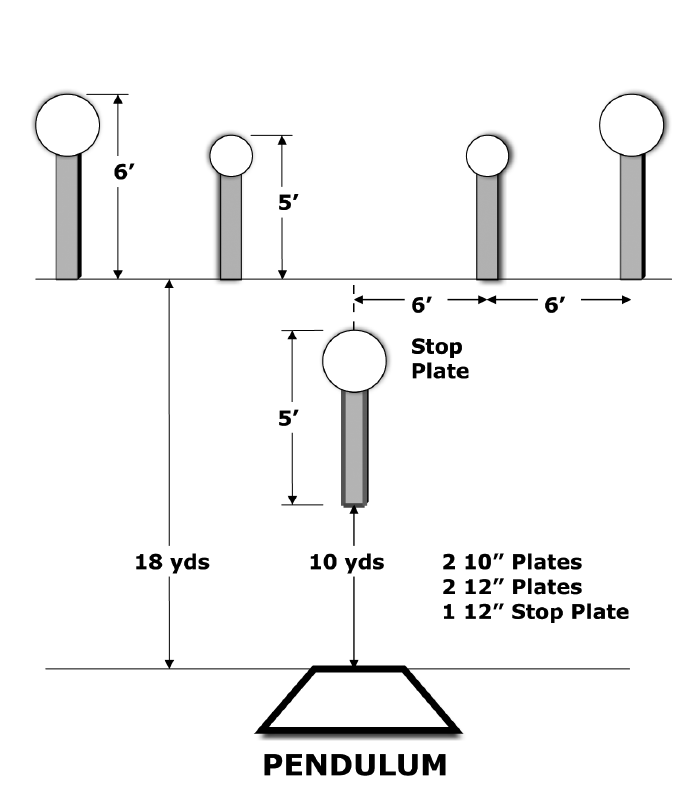 Each target engaged then the Red Stop Plate. Time limit of 30 seconds. Minimum ammunition count is 125 rounds for the complete match. That does not allow for any misses. So bring enough ammunition to complete the match. limited to 60 shooters + staff for the day. Pre-registration will be required. "walk-ins" on day of event will be accepted based on available spots, if there are any available. The match is FULL.. can still register for wait list below. walk-ins and wait list only if registered shooters are not at checkin. Stage setup is done in the morning prior to the match. help will be needed. Match completion help is needed. All the steel needs to be removed from the ranges when we are done. All the help we can get is appreciated. 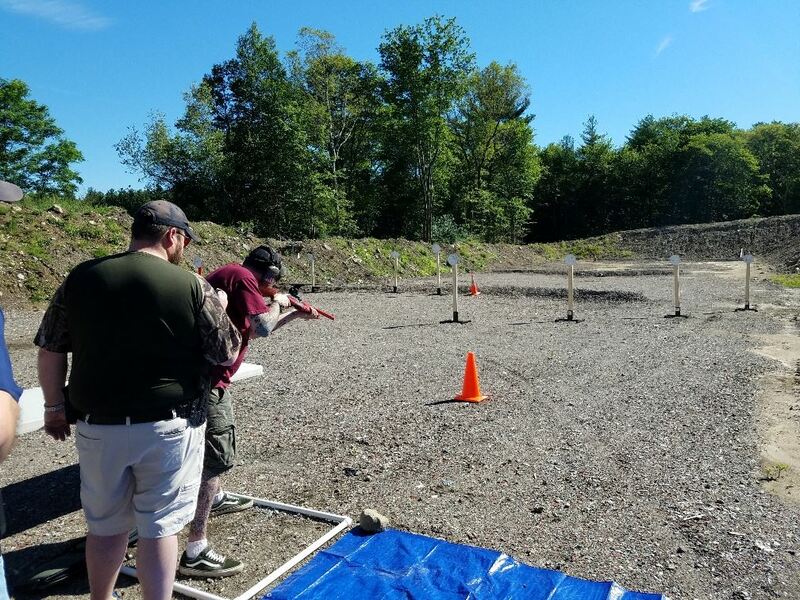 HSC has allowed the use of all the outdoor ranges to be used during this event. One stage will be setup in the Outdoor Pistol Range, Two stages are set in the 100 yard range and two stages setup on the Big Bore Range. Ranges that have two stages setup on them will be run one stage at a time. One squad competitor will shoot their targets five times, then the next squad competitor will shoot their stage five times. At the conclusion of shooting the firearms will be made safe and the Targets will be repainted.